Homer Bailey will make his Royals debut Wednesday against the Twins. 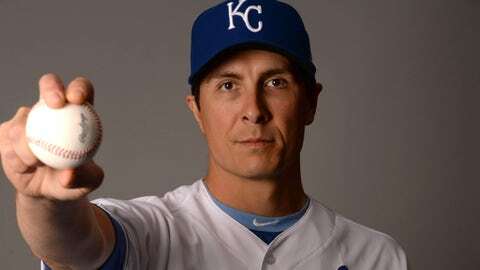 Homer Bailey, already announced as the Kansas City Royals‘ starting pitcher Wednesday against Minnesota, now is on the Royals’ 25-man roster. The Royals selected the right-hander from Triple-A Omaha on Wednesday. In a corresponding move, right-hander Chris Ellis was designated for assignment. Bailey, 32, was signed as a minor league free agent Feb. 9. He was 1-14 with a 6.09 ERA in 20 starts for the Reds last season. He was 67-77 with a 4.56 ERA for Cincinnati from 2007-18. The Royals host the Twins in the finale of a two-game series at noon Wednesday. Bailey will face Twins right-hander Kyle Gibson, a Mizzou product.